A sea change is coming to American foreign policy, and the adherents of the old, multiply failed policies of appeasement and willful ignorance that the Obama administration implemented energetically are desperate to retain power. 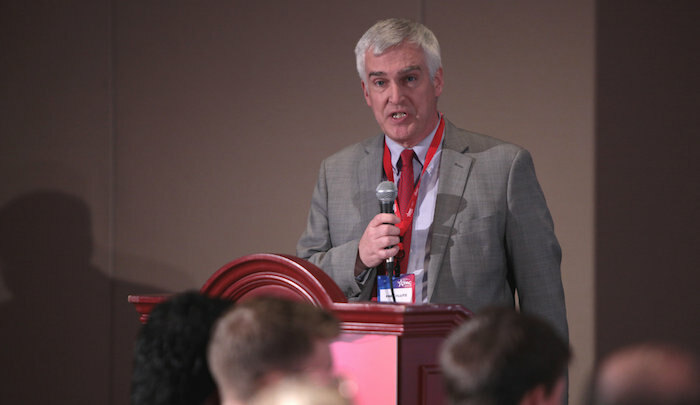 Accordingly, they’ve launched yet another smear campaign against a Trump appointee who doesn’t represent the swamp point of view: the abundantly qualified and clear-sighted Fred Fleitz, John Bolton’s new chief of staff. The campaign consists of the usual half-truths, smears, ad hominem attacks and outright lies. Well, all this has always worked before. Organizations and individuals entrenched in the Obama administration’s pro-Iran echo chamber are engaging in a new plot to defame top White House national security officials, a campaign that mirrors a successful effort by these same groups to oust former Trump administration National Security Adviser Michael Flynn, according to sources familiar with the new effort. Activists from CAIR, the SPLC, and the Anti-Defamation League, or ADL—a civil rights organization currently helmed by a former Obama administration official—are engaged in a coordinated campaign to smear Fleitz and force his ouster from the NSC. The smears have been picked up by sympathetic media outlets who worked closely with these groups while the Obama administration’s so-called “echo chamber” was running at full steam, sources said. Mueller, the Justice Department and the FBI aren’t helping the lawmakers’ probe. EXCERPT FROM THIS ARTICLE: Some want Attorney General Jeff Sessions to clean house, although this would require firing a huge number of career Justice Department lawyers. Some want Mr. Trump to fire Mr. Mueller—which would be counterproductive. Some have called for a special counsel to investigate the special counsel, but that way lies infinite regress.There is a better, more transparent way. Mr. Sessions (or maybe even Mr. Trump) is within rights to create a short-term position for an official whose only job is to ensure Justice Department and FBI compliance with congressional oversight. This person needs to be a straight shooter and versed in law enforcement, but with no history at or substantial ties to the Justice Department or FBI. The media echo chamber spent the week speculating about whether Special Counsel Robert Mueller can or will nab President Trump on obstruction-of-justice charges. All the while it continues to ignore Washington’s most obvious obstruction—the coordinated effort to thwart congressional probes of the role law enforcement played in the 2016 election. When Ezra Cohen from the National Security Council was fired a week later,Higgins’ memo and the back-to-back firings sparked instant intrigue on social media. “Meet The Press” host Chuck Todd invited McMaster to do an interview about Higgins’ firing in August, and both men called into question Higgins’ work and reputation.